4 Bedroom Detached House For Sale in Manchester for Offers Over £260,000. Entwistle Green bring to the market this beautifully presented four bedroom detached dormer bungalow. The property is situated in a private location on a corner plot on Brookside Walk and is within easy reach of local schools, shops and amenities. 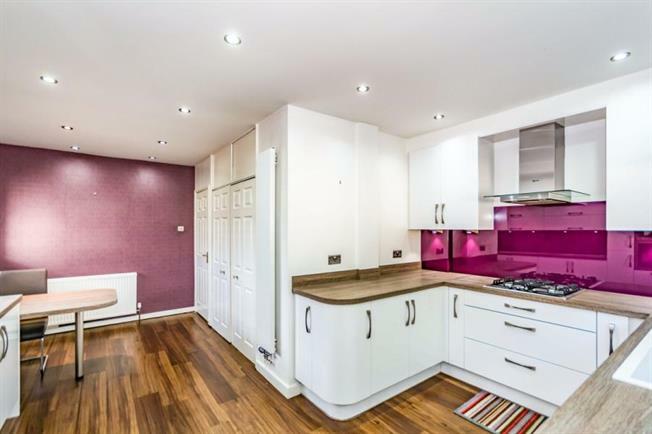 This versatile property comprises of : - entrance hall, living room, bespoke high gloss kitchen diner, dining room/fourth bedroom, master bedroom, family bathroom, rear porch and playroom/office. The first floor offers two further bedrooms, shower room and access to some very useful eaves storage space which houses the boiler. Externally the property is in a tucked away position with a private driveway leading to ample parking and an established private garden. The property also benefits from gas central heating, double glazing and is available with no onward chain.